Whether it s the Easter candy, coloring and hunting of Easter eggs or the colorful outfits that you buy for your kids, Easter is definitely one that kids look forward to every year. Look at everything we have to offer to make your Easter celebration a memorable one and save money while you are at it through our Every Day Low Prices. Candy is dandy any time of year, but Easter candy has a special place in the hearts of children everywhere. 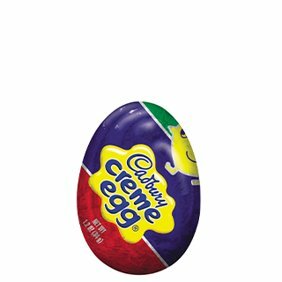 There are candy eggs of almost every type they can imagine. Just considering the chocolate egg options, your kids can come up with many favorites like ones that are only chocolate, chocolate with a candy shell, chocolate and peanuts or almonds with a candy shell, chocolate truffle-filled, cream-filled, marshmallow-filled and peanut butter-filled. There are also jelly bean eggs and gummy eggs. If your child is a fan of bunnies, there are bunnies of all sizes, great and small. You can choose small bunnies made from candy brands your kids love and are familiar with and large bunnies with huge ears that are either hollow chocolate or solid chocolate. Chocolate lovers can choose from milk chocolate, dark chocolate and white chocolate candies. Marshmallow is also a popular Easter confection. There are colorful marshmallow birds, bunnies and other animal shapes to snack on. If you are looking to give your child a gift for Easter, you have many options. Some of the best toys you can give are those that allow for imaginative play. dolls and toy cars are favorites, and there are many pink and yellow toys that can fit under an Easter theme. When selecting toys for an Easter basket, should you wish to make one up, choose one that will fit in the basket and leave enough room for other goodies. Once you have your candy and toy selections made, then you can consider putting together an Easter basket for your child. Basket options available include traditional, licensed and personalized baskets. Traditional Easter baskets are woven rattan and are colored brightly or painted. 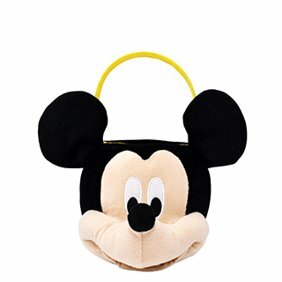 Licensed Easter baskets take many forms with some being a pail and others being the head, body or both of popular characters. Personalized baskets can be from all types and have your child's name on it. To create a special Easter basket for your child, choose the type of basket you think is most appealing to your child, follows a theme you are happy with or is kindest to your wallet, the choice is yours. Next, add some colored Easter basket grass filler to the bottom and sides of the basket. Add the toy or toys you have selected to the basket as well as some of the candy. Fluff the grass filler so that you can put some of the smaller items into the grass. Then add some of the larger items on top, making sure to not overload it. The basket should be full but be able to stand up on its own without toppling over. When you were a kid, chances are you probably got at least one new outfit for Easter and wore it proudly the entire day. You can do the same for your little boy or girl by choosing something from our vast selection of baby, toddler and children's clothes. When selecting clothes, light and flowery colors are suitable for little girls. dresses, blouses and skirts are ideal for little girls while onesies or dresses are suitable for baby and toddler girls. Baby and toddler boys can also wear onesies or pajamas while little boys may be ready for their first suit. Look for either two-piece or three-piece suits in dark colors contrasted by shirts in brighter colors like yellow and lavender. Or choose a springy pastel suit with a fresh white shirt. Above all else, it should not be forgotten that Easter is a religious holiday. We have many different jewelry pieces from which to choose to show your devotion or to give as a gift to someone else. The most significant option is a cross pendant or necklace. These crucifixes can range from plain to highly detailed and in a variety of finishes like stainless steel, sterling silver and 10-karat gold. White gold, rose gold and gold plated are other options available to you. Most come on chains that range in size between 18 and 24 inches so make sure you know what length the person you are giving it to prefers. Other pendant options you can choose include St Christopher's medals, serenity prayers and Saint Anthony medallions.